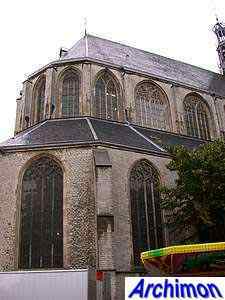 The Grote of St. Laurenskerk is a big three-aisled basilica in Brabantine Gothic style, the most northern example of this style which originated from the city of Mechelen, now in Belgium, and one of the purest examples of the style in the county of Holland. 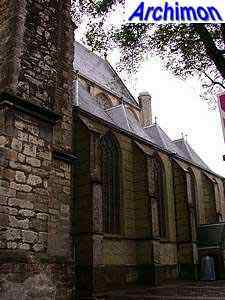 The church replaced a predecessor on the same location which was badly damaged in 1468, when its unfinished tower collapsed. 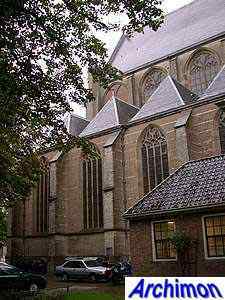 In 1470 work began on a new church, starting with the nave which was completed in ca. 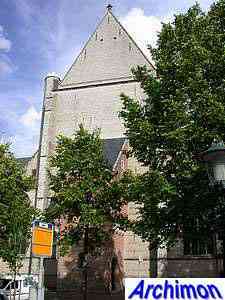 1495. 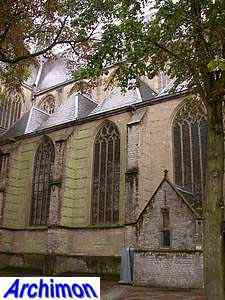 The nave is three aisles wide, with chapels bordering the side-aisles, as common with Brabantine Gothic churches. 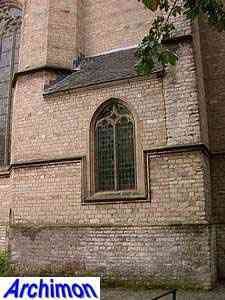 However, instead of the usual stone vaults, the main aisle was covered with a wooden barrel-vault. 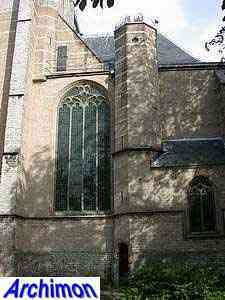 Only the side-aisles and their chapels have stone vaults. 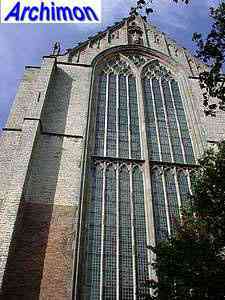 Several members of the now famous Keldermans family, a family of sculptors and architects from Mechelen, were involved with the construction. 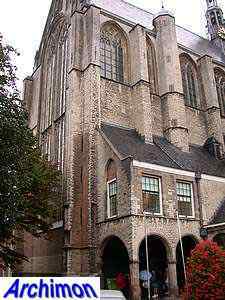 Antoon I Keldermans is often mentioned as the architect, although there's only evidence that he was in charge of the construction from 1497 onwards. 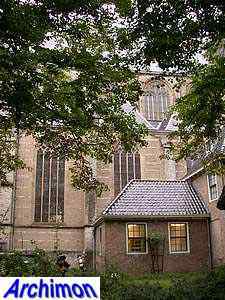 Other sources suggest that Andries I Keldermans, father of Antoon, started the work in 1470 and was at first assisted by his brother Matthijs I Keldermans, who was a sculptor. 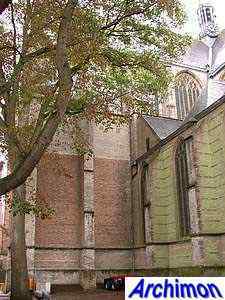 When Antoon took over his father's position the construction of the transept was already underway, a phase which was completed in 1502. 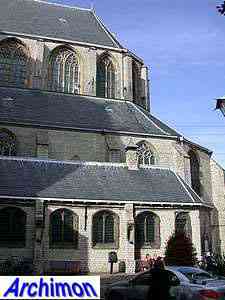 This transept is also covered with a wooden barrel-vault. 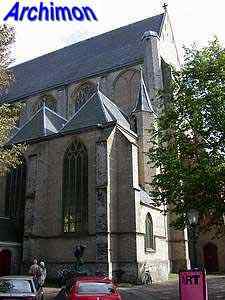 The third phase, the construction of the choir and ambulatory, the latter of which has stone vaults, was completed in 1521. 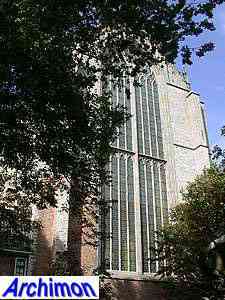 Plans to build a tower and lengthen the side-aisles were abandoned. 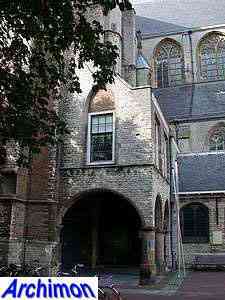 Instead a brick portal was built. 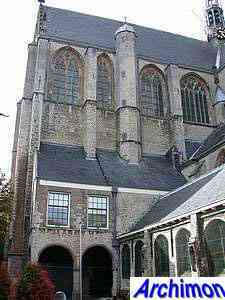 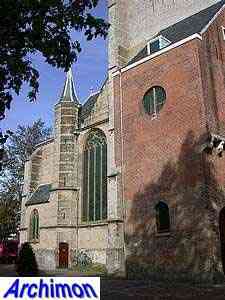 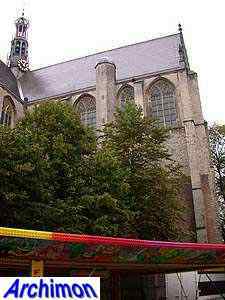 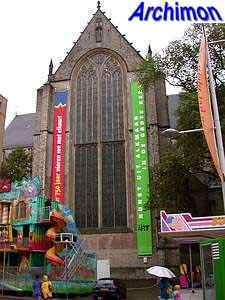 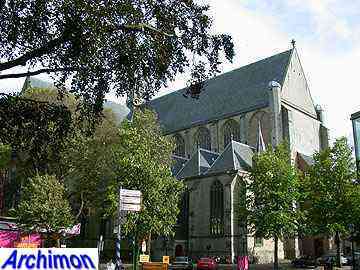 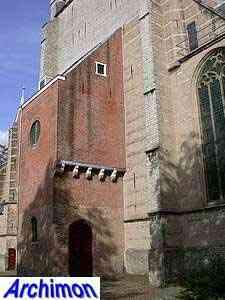 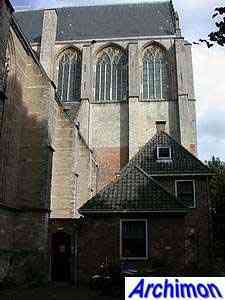 The church was built of bricks, coming from three demolished castles nearby Alkmaar. 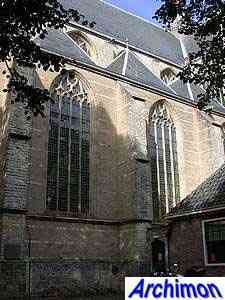 Most of the exterior was clad with limestone from pits in Brabant. 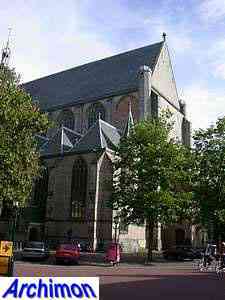 In 1572 the protestants confiscated the church. 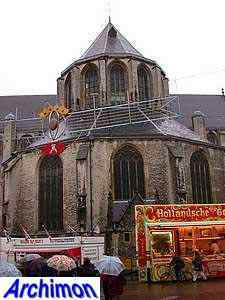 Today it is mostly used for cultural purposes.